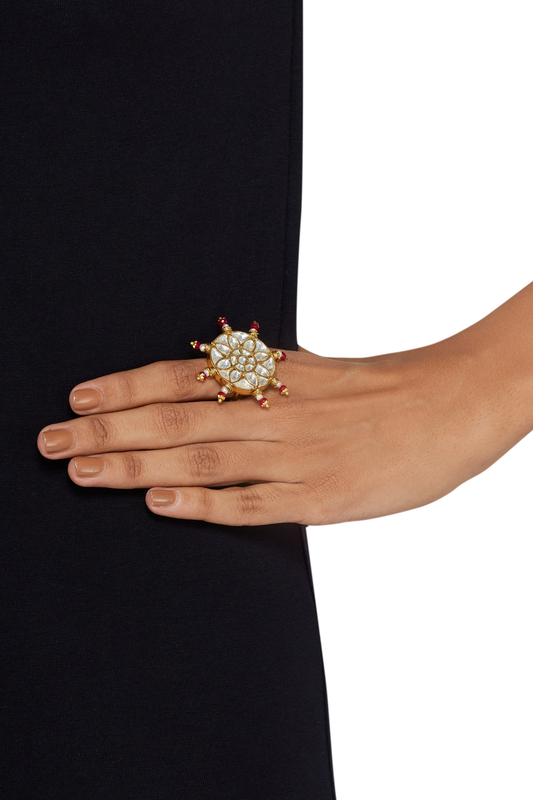 Statement kundan jadau ring designed by Maisara at AASHNI+CO. 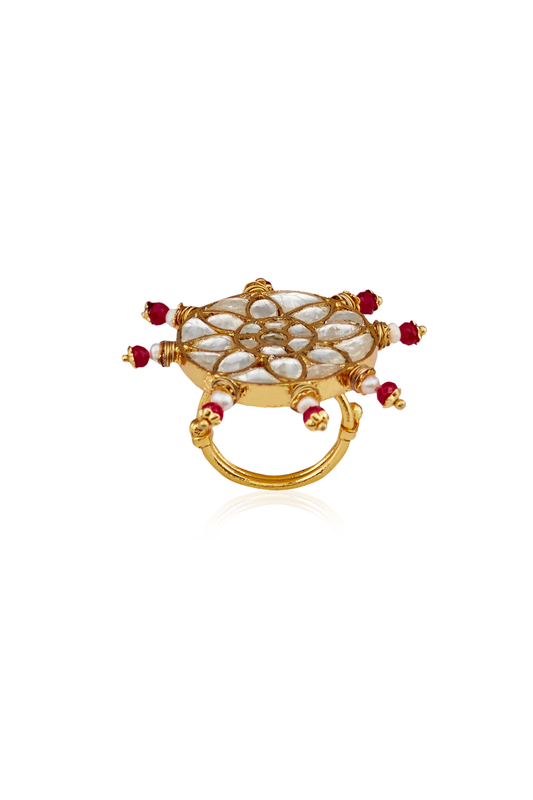 Maisara designs a finely customized masterpiece with this ring customizing it with kundan jadau and dainty pearls on the rim. Accessorize it with your sari for an appealing look.